The health and development of your child’s smile rely on more than just brushing and flossing. They also need to see a dentist twice a year for a cleaning and checkup. 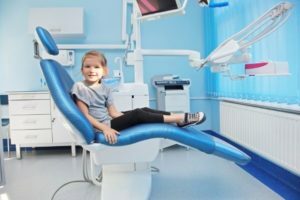 You could take them to a general dentist to get the care they need; however, you could choose the expertise of a pediatric dentist in Amherst instead. 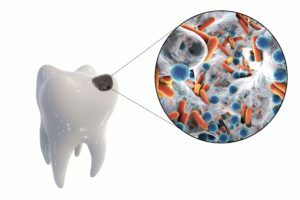 A pediatric dentist specializes in the unique oral health needs of children to set the foundation they need for a lifelong healthy smile. February is National Children’s Dental Health Month, which is dedicated to bringing thousands of dental professionals together to educate the public about the importance of good oral health for children. Now in its 63rd year, dentists from around the world come together to help young smiles thrive with healthy teeth and gums. Your pediatric dentist in Northampton provides the individualized solutions your child needs to create the foundation for a lifelong healthy smile. 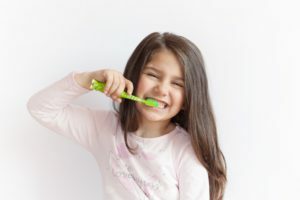 Besides their home oral hygiene routine, your child’s oral health also relies on the care they receive from their pediatric dentist in Northampton over the years. Unfortunately, visiting the dentist is not an easy experience for everyone. Dental fears and phobias can make the dentist a scary place, especially for young children. As a parent, there are several things you can do to help your child conquer their anxiety for stress-free visits. One of the most important skills your child learns in life is how to care for their teeth and gums. Unfortunately, you may face an uphill battle. Often, young children view brushing and flossing as a chore, so they rush through it or skip it all together. 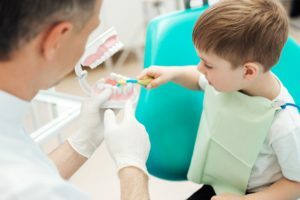 You can help to make it fun while allowing them to develop the techniques they need using simple tips from your pediatric dentist in Northampton. Halloween is right around the corner. 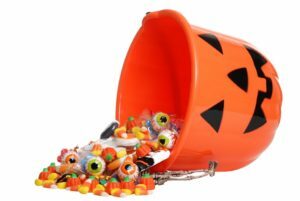 As you prepare for the festive day with creative costumes and fun decorations, your child looks forward to a night of overindulging on candy and sweet treats. While it may only be one day, too much candy can lead to tummy aches and future cavities. Do not let it lead to bad news at their next dental appointment. Your pediatric dentist in Northampton has simple tips to protect your child’s smile and their wellness. Do I Need to Call an Emergency Pediatric Dentist in Northampton? As a parent, nothing is worse than seeing your child in pain. Over the years, you expect to see bumps, bruises, and maybe even a broken bone; however, you may not be prepared for a dental-related emergency. Although you never think you will face this situation, it is estimated 50% of children will have some type of dental emergency during childhood. 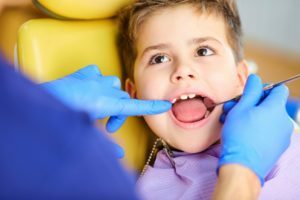 Whether due to an accident, an injury, or another cause, you must know how to react and when to call their pediatric dentist in Northampton. Comments Off on Do I Need to Call an Emergency Pediatric Dentist in Northampton? Why Does My Pediatric Dentist in Amherst Take X-Rays? Early care from a pediatric dentist in Amherst is vital to the health and development of your child’s teeth. As a result, it is best to schedule an appointment twice a year for a cleaning and checkup. This allows their oral health to be monitored to detect any areas of concern quickly to provide early intervention. During their visits, a visual examination will be performed, and x-rays are taken. Although you may feel that the imaging is not necessary until after a problem, like a cavity develops, they provide their dentist with key insight into their oral health. 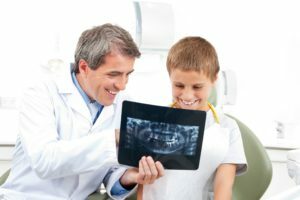 Comments Off on Why Does My Pediatric Dentist in Amherst Take X-Rays? In addition to your child’s oral hygiene habits at home, they also need to see their pediatric dentist in Northampton twice a year for a cleaning and checkup. 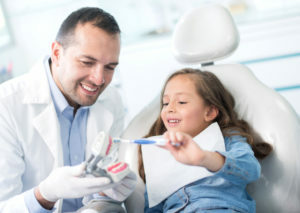 While many kids enjoy visiting their dentist, others can fear their upcoming appointment. Dental fears and anxieties are common for children. They can worry about a painful treatment, dislike like the sounds or smells of the office, or they just do not want to be there. This can make routine appointments very difficult. Thankfully, there are several things your dental team can do to make your child feel at ease. As a parent, nothing is more important to you than the health and well-being of your child. While you encourage a healthy diet and plenty of exercise, you may be overlooking a vital aspect of their health—their smile. Your child’s dental health directly influences their general health and their development. To protect their teeth and gums from damage, the first line of defense starts with their toothbrush, but which is the best one to use? To help you choose the right one, your pediatric dentist in Northampton has some important tips to keep in mind.